Massey Brothers is proud to be a full service automotive repair facility. 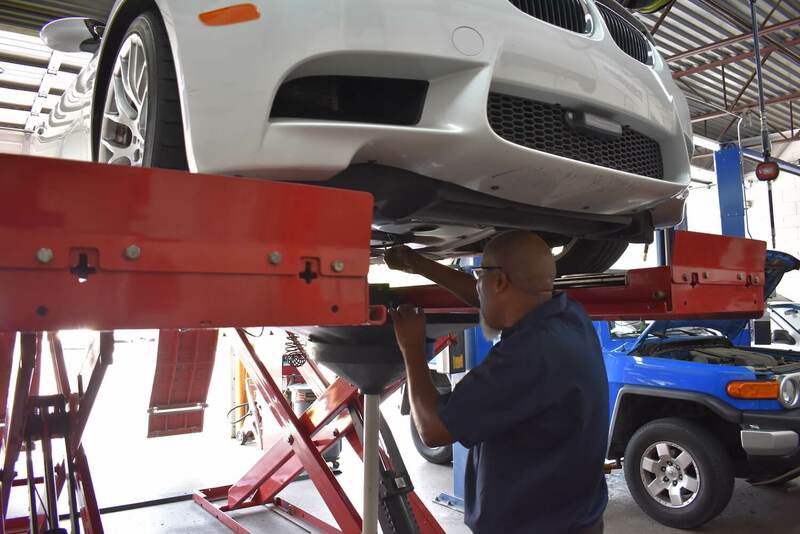 Our commitment to quality mechanics and customer satisfaction is apparent from the second you walk through our doors. We are proud to say that we were voted Best of the Triangle 2017- Best Auto Repair Facility in Durham County! This is an achievement we don’t take lightly, and our entire team of ASE Certified technicians works daily to maintain our reputation and exceed our customer’s expectations. Walk-in or call to schedule everything from your factory scheduled oil changes and tune ups, to brake repairs, alignment, and your as-need extensive and emergency repairs. For your convenience we provide a free shuttle service and afterhours drop-off and pick-up. If your service can be completed while you wait, we have free Wi-Fi in our lobby. We are proud to be the RTP’s one-stop auto service facility. We service all vehicle makes and models, including foreign, domestic and Hybrids. We are a family owned and operated shop who operates with honesty and integrity. Rest assured in the quality of our services, as all of our mechanical work is backed by a 12 months/12,000 miles warranty, and all of our parts have a 24 months/24,000 miles warranty. We have 4 bays and ASE Certified technicians. We are also a green facility who ensures safe disposal of all fluids and recycling of metal, tires, and more. Walk-ins are always welcome. So, stop by our shop anytime you have need service or have questions. If you need it serviced, we have you covered. Massey Brothers is a proud and active member of our local communities. In addition to delivering a superior quality of car care than your average automotive repair facility, we are always looking for meaningful ways to give back to those we serve. We achieve this in a variety of ways, including participation in local school and community fundraisers—and donating to a variety of charitable organizations throughout the year. This is our way of helping our community thrive and saying thank you to those who chose us as their preferred mechanic.